Renaissance military construction, its rounded elevation and circular towers allow us to enjoy the singularity of this 15th century fortress, which preserves its original layout. With a square floor plan, and with circular turrets at each corner, the main building preserves two of the walls that once joined together. Surrounding it we can see the remains of an exterior wall, which also had circular reinforcements at its corners and had gun ports, places to put the artillery. 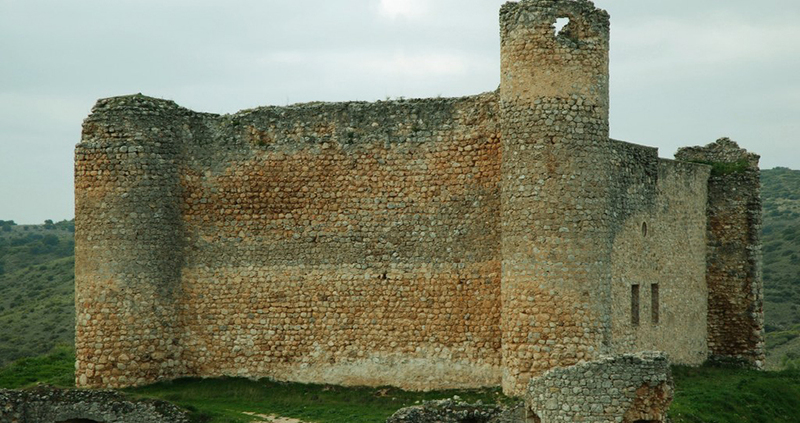 Diego López de Haro, second lieutenant major of Castile, ordered the castle to be built in the 13th century. Later it would be destroyed by king Sancho IV. The Order of Saint James rebuilt it in the 15th century, giving it the form we see today. Free access. Accessible via the Camino de Ossa de la Vega. We recommend asking the local people, as it is not easily distinguishable. The town has a great artistic and monumental heritage from the 15th and 17th centuries. Diego Ramírez de Fuenleal, born in the town in 1459, tried to found a university here that would outdo that of Salamanca.